John has over 18 years' experience in usability, eCommerce, digital marketing and user-centred design. Prior to working at Bunnyfoot, John was Head of eCommerce at what was then, the UK’s leading education IT company. There, he employed a plethora of user-centred approaches in transforming and optimising their online channels. Always aware of budgetary constraints, and not afraid to get his hands dirty, John could often be found sweet-talking visiting customers into participating in budget usability tests during their lunch breaks. 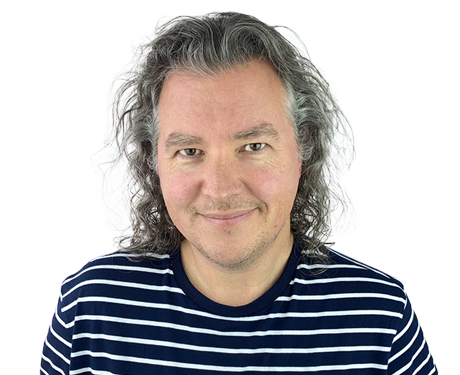 Over the last 18 years, John has studied and practised many UX methodologies including interaction design, user testing, expert evaluation, card sorting, user interviews, accessibility auditing and testing and ethnographic research, and he is experienced in stakeholder engagement. His client-side background means that he understands many of the challenges that eCommerce and digital marketing teams face when trying to create great user experiences. John delivers several of Bunnyfoot’s training courses, including Rapid Prototyping with Axure, Practical Accessibility, and the Certified Professional for Usability & User Experience (CPUX-F) course. He recently worked with the UXQB to update the CPUX-F course curriculum, as well as writing a number of the public test questions. John has been Head Judge for the UXUK Awards for the last four years and has compered the awards ceremony since 2016. Outside of work, John is a keen studio musician (i.e., insufficiently practised to play live) – he plays guitar and keyboards and enjoys writing and recording his own, self-indulgent, prog-rock-styled noodlings. He also loves eating and does so on a regular basis.